Intensity is in the air. The artists are at work, blessed with a geographical, geological and climatic canvas unique to the planet. They share arts and letters, compare and contrast methods, style and results. The sense of community is palpable, obvious and quite frankly awesome. They are Ontario winemakers and they are coming together. Right now. Mr. Kramer said “Somewhereness is more than just an event. It allows us to recognize the particular beauty of a place. Since Ontario’s wines have just such a particular beauty, the Somewhereness celebration makes sense in a single sip.” It was also Mr. Kramer who said that Somewhereness is something you can’t take, nor is it something that you can really define, or figure out its source. Somewhereness is not something undefined, like umami, nor is it akin to karma, or zeitgeist. It’s very real. In the soil, the vines, the fruit and in the wine. 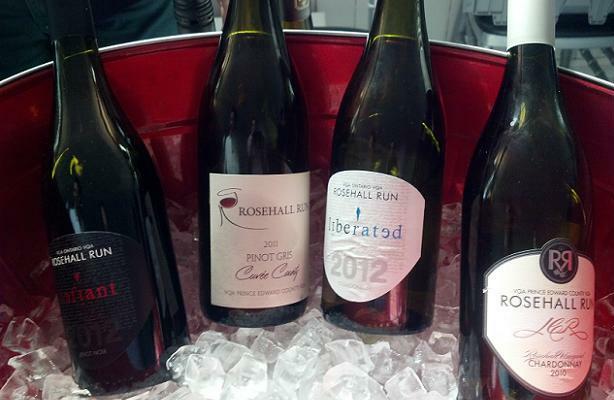 The sparkling, white and red wines of Ontario are obvious and recognizable. They should never be mistaken as having been made anywhere else. A concept like Cool Chardonnay takes it to the road to spread the prophecy and also plays host to events that attract dignitaries from around the world. More organizations like i4C are needed to spread the Ontario gospel. The next summit of #i4C2013 (third annual) will take place this coming July 19-21. Still, something is missing. Industry folk share an understanding, celebrate internally and not unlike any well-organized clique, pat one another on the back. But what about the local consumer? Do they realize they’re missing out on the illustrious muckle right under their noses? There’s the rub. It’s not just Americans and Europeans who are ignorant to the exceptional quality of Ontario wine. Abeyance be gone, these next few years have the potential to cement an industry’s power. Only a minority has even the slightest clue that liquid gold is mined out of the peninsula’s glacial clay and limestone. The time is ripe to tell the world the story of Somewhereness. The embryo is about to grow in a major way. Financial reward is within reach. So how to alert the world? @WineTrackMind we need our ten brightest wine people in London with ten knockout wines, not some generic presentation of varietal wine. Interesting chat about #GoGamayGo + #ONwine. Makes one wonder how wine associations promote varieties that grow well but not grown by all? @zoltanszabo @johnszabo @mkaisersmit @TheGrapeGuy @TheSpitter great gamay is better, and cheaper, than mediocre pinot. Simply put, more Gamay (Noir) needs to be planted in Ontario’s vineyards. OK, so the name isn’t the sexiest. Could you call it Niagara Noir? I don’t think so. Gamay and its small berries (especially from new clonal plantings) are ideally suited to the climate and the wines are drop dead delicious. The bandwagon is growing, with zealots like @thespitter, @winetrackmind, @BillZacharkiw, @mkaisersmit, @TheGrapeGuy, @zoltanszabo and @johnszabo leading the charge. On Tuesday, April 16th the group of 12 poured their best at the MaRSDiscovery District. A warm thank you goes to Cool Chardonnay, i4C VIP Concierge Trisha Molokach for helping to set the Somewhereness table. Here are eight shining examples of the coolest wine made on earth. Smaller investments lead to bigger fortunes. This is the credo that works for me when it comes to wine. I practice what I preach and taste as many wines as possible, to determine the personality of my palate, to make informed, diagnostic and visceral decisions when it comes to purchasing for my cellar. Admittedly, I am offered many opportunities to taste wine. They are out there for you too, whether you live in Ontario, Alberta, Nova Scotia or British Columbia. Wine events are happening almost daily, in event venues, in restaurants, in wine shops and at your local monopoly. Get out there and taste Canada. Put a little money and time into your wine future. Take a course. Taste often and always. Training and immersion is key. Taste! In the meantime, one of my many jobs is to help with buying strategies. Some recent releases are out there for the taking. I have also discovered a remarkable (soon to arrive in Canada) New Zealand producer, thanks to the generosity of the Speck Family (Henry of Pelham, Ontario) and Family Wine Merchants. Their Icons of Wine, The Inaugural Family Wine Merchants Portfolio Tasting in Toronto was held on April 15, 2013 at Arcadian Lofts. The Sauvignon Blanc, Pinot Gris and Pinot Noir from the Marlborough winery called Te Pā are a revelation. In anticipation of a spring concert of Prince Edward County wine events and new tastings, here is a terrific Pinot from the man himself, Norman Hardie. All in all, here are five new wines to look for, right now and in the near future. Wake up and smell the grapes. Put those lame excuses on the shelf and get over yourself. Time to cease and desist the dissing and dismissing of Ontario wine. I used to be like you but now I participate any chance I get, by invitation or by uncorking at dinner, to sample, savour and immerse myself in Canadian and more specifically, Ontario wine. I was there when thirty wineries from The Niagara Peninsula, Prince Edward County and Lake Erie North Shore regions were assembled on Wednesday, April 10th, 2013 in Toronto’s Casa Loma by The Ontario Wine Society. No fewer than 127 wines (plus a few under the table ringers here and there) were poured at the “5-star” event that focused on the signature, cool-climate varieties produced in Ontario. Sparkling wines shared company with Chardonnay, Pinot Noir, Riesling and Cabernet Franc. I loved the pentalpha conceptualization, realized by a narrowing of the field to a focus of five. Working endurance wine tastings tugs on the olfactory and taste bud strings, demanding maximum mettle, so this was a welcome format. The Ontario Wine Society is a necessary and viable provincial institution. The not-for-profit society was formed in 1991 and continues its mandate to discover, appreciate and support local wines. The industry knows to thank and give back to the OWS and other organizations who likewise set out complimentary mandates to champion local greatness. Like the VQA leader with respect to growth and sustainability Wine Council of Ontario (WCO) and the oenological education leader Cool Climate, Viticulture and Oenology Institute (CCOVI) at Brock University, the OWS is all about championing greatness stemming from our vineyards. Shout out goes to OWS President Ken Burford and Vice-President Sadie Darby for orchestrating the oeno-pentathlon. The feat was neither small, nor insignificant. 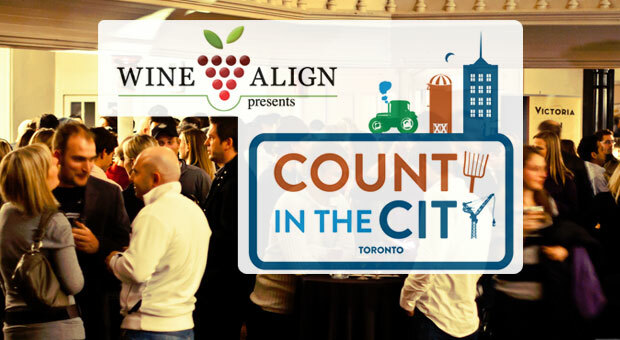 The local tastings ramp up in a big way in April and May with events like County in the City, County Character, County Terroir, The Niagara Food and Wine Expo and culminating in June with the inaugural National Wine Awards of Canada (formerly the Canadian Wine Awards) presented by Wine Align. Here are eight highlights from the OWS Casa Loma tasting, to the tune of Riesling, Chardonnay, Cabernet Franc and Pinot Noir. They do give back. If your son or daughter was born in 2000 or 2001 and loves playing minor hockey, the 2012-2013 season would more than likely have been a good one. Regardless of ability or what level they played, kids in the Toronto-area had a chance to experience the competitive thrill of playoff atmosphere, tournament hockey, just like the prodigies and the professionals. 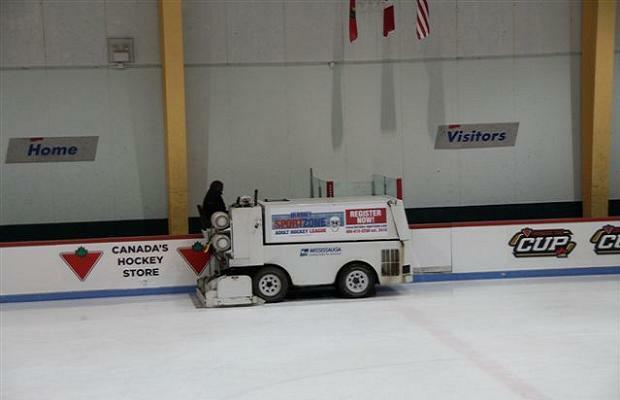 It’s not the way house league players normally get treated. The 2013 Canadian Tire Cup was held from April 5-7, 2013 at Iceland Arena and The Hershey Centre in Mississauga, ON. 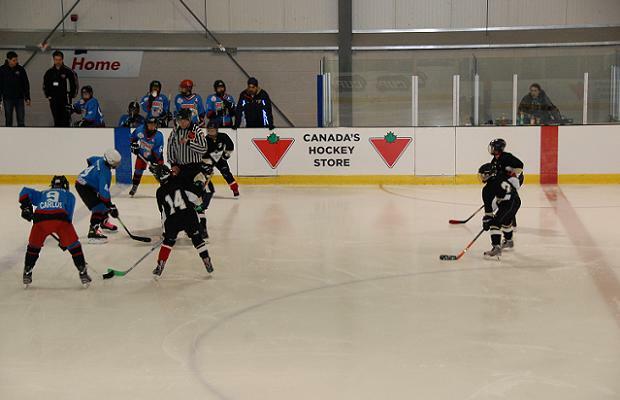 The free, three-day tournament was an end-of-season gift resulting out of a partnership between Canadian Tire and the GTHL. Together they provided 103 Peewee-level house league hockey teams in the GTHL with $500 in funding over the course of the 2012/2013 season to help pay for the costs associated with playing hockey. On a weekend like this, absolutely. Yes, there were some spirited games, a few mismatched teams and some bruises, but when all is said and done, so many kids benefited from the experience. Jeff Stewart, GTHL’s manager of membership services and events said 85 of a possible 103 eligible teams participated in the tournament. Those that did not enter did so because of conflicts with their league playoffs. Canadian Tire is the exclusive sweater sponsor of the GTHL but their support goes well beyond the elite levels of AAA, AA, A and Select minor hockey. Each participant was given a loot bag with a Canadian Tire baseball cap and toque, NHL hockeycards and mini sticks. 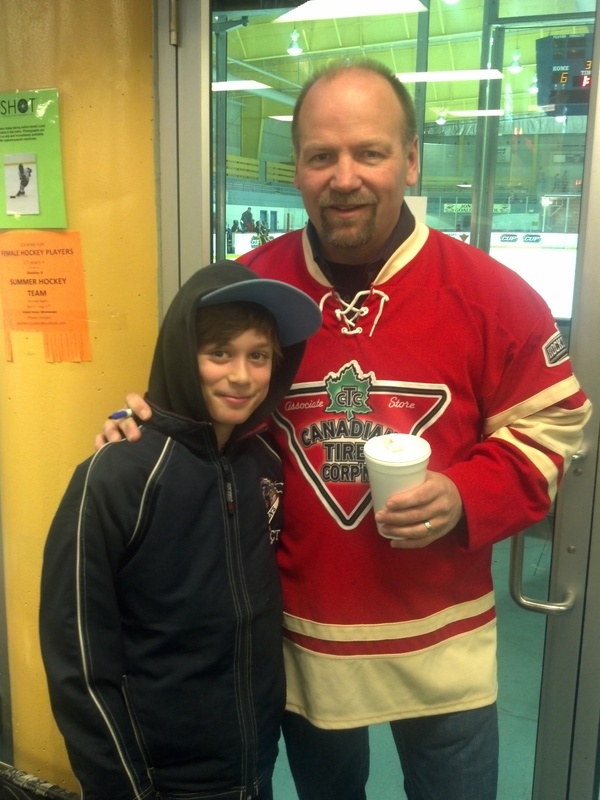 Some NHL alumni – dressed in vintage-style, Canadian Tire hockey jerseys – spent quality time with the kids. They signed autographs, posed for photos and held court inside dressing rooms. The ambassadors (primarily former Toronto Maple Leafs players) included Lanny McDonald, Wendel Clark, Tiger Williams, Curtis Joseph, Brad May, Tom Fergus, Jeff O’Neill, Kris King, Todd Warriner and Bob McGill. White and red. These are the two descriptors that separate and define wine. But the pigmentation in wine runs a colour spectrum way beyond the black and the white. Whites wines can appear pale or silvering, in platinum and argentate. They can be yellow and gold, in marigold and saffron. They can also be green, in jade, malachite and patina. Red wines are so often purple, in magenta, amethyst and amaranthine. They are also black, in slate and in charcoal. I employ this word salad rubric all the time, because that is what I see. Have you ever really taken the time to look closely at the actual colour of your wine? To do so, the first order of necessity is a proper wine glass with a good-sized bowl and certainly not smaller than 16 ounces. Increasing the viewing area allows you to not only see hues but also nuance and variegation, especially when a wine has some age on it. The visual aspect of wine is huge. Don’t let it pass you by. There will be many colours and golf attire styles on display this coming weekend at The Masters. You’ll see the Luke Donald Ralph Lauren GQ. The Ian Poulter English plaid, retro-kitsch. The Sean O’Hair Ashworth Nantucket. The Freddie Couples Masters green. The Ben Crane Hugo Boss, Mad Men yellow, green and orange. The Ricky Fowler Puma, day-glow yellows and greens. The Masters offers a sensory experience focused on colour unlike any other made for television sporting event. So many shades of green and so many moments of reflection. Reminds me of wine. I’m certainly not suggesting to revolve your purchasing decisions around fashion and colour, but the next time you pour a glass, take note of its sheen. I guarantee it will add to the experience. Whether or not you care at all about the golf, here are six masterfully made drops to look for this coming weekend.